We called the raw songwriting of 6LACK's "Free" a highlight of his Toronto live debut back in January. 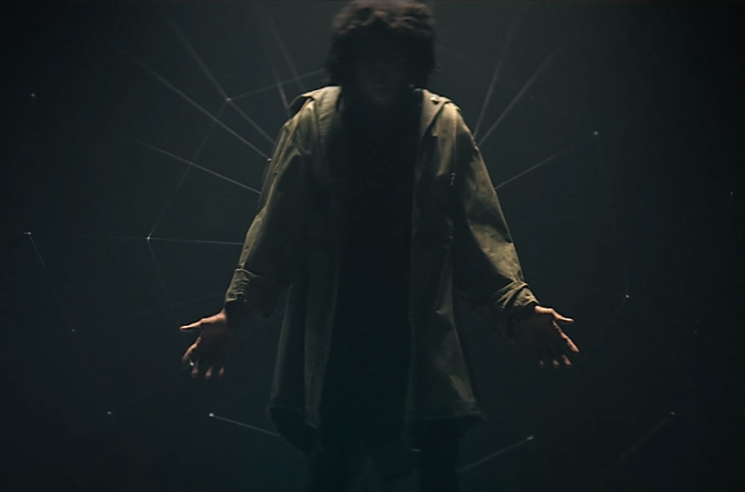 Now, the buzzy Atlanta artist has shared a video for the track. The clip shows that a night posted up at the club is much more than it appears, with the artist literally caught in the web of a love interest before he makes a daring escape. FREE 6LACK is out now through LoveRenaissance/Interscope. 6LACK will be returning to Canada as part of the Weeknd's "Starboy: Legend of the Fall" world tour alongside Rae Sremmurd and Belly. Order FREE 6LACK on vinyl via Umusic here. Watch the clip for "Free" in the player below.